The Wilburforce Fellowship is a year-long program providing leadership and science communication training, along with coaching and support, to scientists from a wide range of affiliations, career stages, and disciplines. At the root of this initiative is Wilburforce Foundation’s commitment to empowering scientists to engage in conservation management and policy discussions, because when scientists are part of the conversation, we get better solutions. Please note that Wilburforce Foundation is delaying consideration of a new cohort of Fellows until 2019, pending an evaluation of the work of our first two cohorts. We know the future of conserving nature relies upon a collaborative community of individuals, organizations, agencies, and allied partners who together seek to sustain wildlife and wildlands. The Wilburforce Fellowship builds a community of practice where scientists are advancing decision-relevant research, effectively communicating scientific findings and contributing to conservation solutions by engaging with local communities, policymakers, land managers, and advocates. Wilburforce Foundation, in partnership with COMPASS, is pleased to announce the 2017 Fellows. 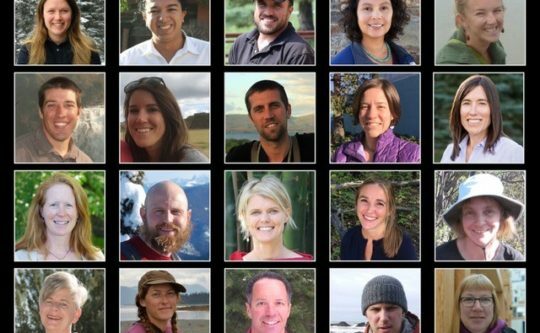 These twenty scientists will join a community of conservation science leaders who excel in using science to help achieve durable conservation solutions in western North America. Fellows will attend a six-day intensive training led by COMPASS in April 23-28, 2017 in Tucson, Arizona where they will be provided with a comprehensive foundation of leadership and communications skills. At the training, each participant will set a goal for individual or collective engagement on a specific conservation issue, and begin to define an action plan to achieve it. Throughout the following year, fellows will receive coaching and support from trainers and peers to achieve their goals, as well as help connecting with targeted individuals and audiences. 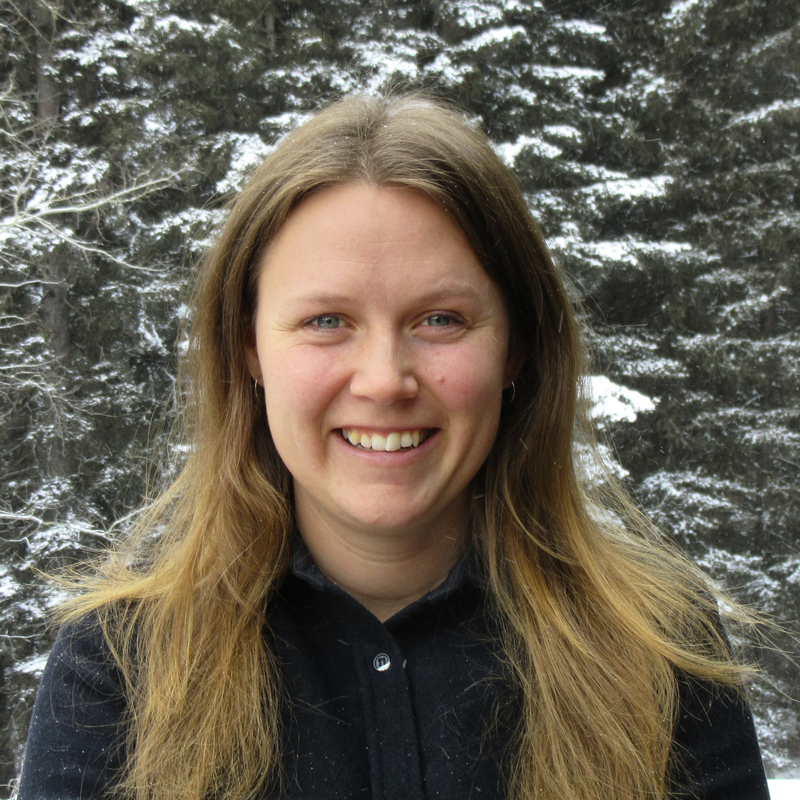 Megan AdamsPh.D candidate, Raincoast Conservation Foundation, University of VictoriaMegan’s applied and community-driven research focuses on spatial patterns of salmon use by grizzly and black bear populations in coastal British Columbia. She is interested in collaborative research that informs local conservation initiatives. Megan is a biologist with the Raincoast Conservation Foundation and a Hakai-Raincoast scholar in the University of Victoria’s Applied Conservation Sciences lab. She works closely with the Wuikinuxv Nation, and a broader network of neighboring nations (Gitga’at, Heiltsuk, Kitasoo/Xai’xais, and Nuxalk). 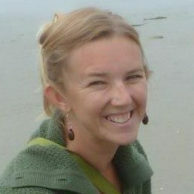 Megan also serves as a director of the Sea to Cedar Initiative, connecting people to place through coastal community and conservation programs. She is an advisor to the Spirit Bear Research Foundation, which is focused on research of coastal bear populations and the development of sustainable indigenous tourism, and the Coexisting with Carnivores Alliance, which is dedicated to reduction of human-wildlife conflict on southern Vancouver Island. Throughout her work, Megan has had incredible mentorship from local collaborators. She endeavors to share these humbling lessons with her academic colleagues, because she believes engagement is the future of conservation science. As a Wilburforce Fellow, Megan aims to improve her abilities to communicate across disciplines, draw on multiple perspectives and strategically apply science and local knowledge for effective conservation solutions. 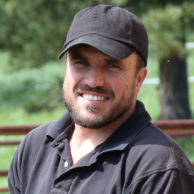 Bray BeltranM.S., Heart of the Rockies InitiativeBray's areas of interest and expertise include species distribution modeling, large landscape conservation, spatial analysis, ecosystem services, and social-ecological systems. As the spatial ecologist for Heart of the Rockies Initiative, Bray works with multiple stakeholders, including private landowners, conservation organizations, and state and federal agencies, to inform conservation planning efforts in the Intermountain West. Bray has an interdisciplinary background and is interested in producing and interpreting science to inform decision-making. His goal is to promote conservation at the landscape scale, while allowing compatible and adequate use by people to enhance quality of life. Currently, Bray is leading a Landscape Conservation Design project in the High Divide of Montana and Idaho to identify and evaluate future landscape configurations that address the needs of local communities while conserving the High Divide’s unique landscape resources. Bray was born in the xeric shrublands of the Colombian Atlantic Coast, grew up in the Andean Cloud Forest, and has lived in several regions of the U.S. but now calls the vast and wild landscapes of the Intermountain West home. He is an avid backpacker, gardener, and beer maker, and when feeling inspired he likes to try his hand at making his abuelas’ Colombian dishes. 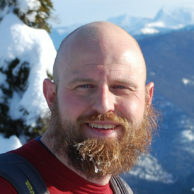 Todd BrinkmanAssistant Professor, University of Alaska FairbanksTodd is an Assistant Professor of Wildlife Ecology at the University of Alaska Fairbanks (UAF), with an emphasis on the Human Dimensions of Wildlife Management. He teaches a couple of wildlife science courses each year, and is the Associate Director of UAF’s Resilience and Adaptation Program. Todd’s research applies an interdisciplinary approach to advance knowledge on the complex, and often contentious, interactions among wildlife populations (primarily large mammals), people, and habitat. 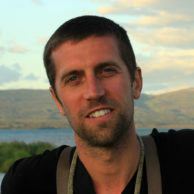 Much of Todd's recent work has focused on assessing how rapid climate change is impacting the availability of ecosystem services, especially opportunities to harvest local wild foods. Todd holds a B.S. in biology and environmental science from Minnesota State University, a M.S. in Wildlife Science from South Dakota State University, and a Ph.D. in Wildlife Ecology from the University of Alaska Fairbanks. Whisper Camel-MeansWildlife Biologist, Master of Science, Confederated Salish and Kootenai TribesWhisper is a Certified Wildlife Biologist working for the Confederated Salish and Kootenai Tribes’ (CSKT) Wildlife Management Program. She started her career with CSKT as a Wildlife Biologist Trainee in 1997 while studying Environmental Studies at Salish Kootenai College in Pablo, MT. She then attended the University of Montana in Missoula where she earned a B.S. in Wildlife Biology, then attended Montana State University in Bozeman to pursue her M.S. in Fish and Wildlife Management. 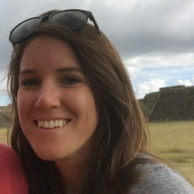 She was awarded a fellowship from The Wildlife Conservation Society (WCS) and The Western Transportation Institute (WTI) to conduct a master’s project on US Highway 93 pre-construction wildlife movements. Upon completing her graduate degree she returned to the Flathead Indian Reservation to continue working for the CSKT Wildlife Management Program. Outreach and education to Reservation youth and adult community members is an important part of her job in protecting wildlife. 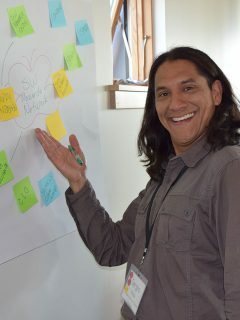 Whisper is one of seven founding members of the SciNation on the Flathead Indian Reservation, bringing science, technology, engineering and math to Reservation youth and helping to inspire the next generation of scientist and land stewards. Whisper is an active member of: the CSKT Climate Change Advisory Committee working on the Reservation with regional climate change partners; The Wildlife Society, on the national and state level; the Society of Conservation Biology, attending national and state chapter conferences; and has served as Chair (past) and vice chair (current) of the Flathead Reservation Fish and Wildlife Advisory Board. Lisa EllsworthAssistant Professor, Senior Research, Oregon State UniversityLisa works at the interface of fire science, rangeland management, and wildlife habitat ecology from a perspective of long-term conservation and restoration of the interacting ecological and social resources of western arid ecosystems. 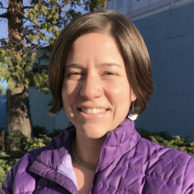 In her current position as Assistant Professor, Senior Research in the Department of Fisheries and Wildlife Science at Oregon State University, her major research programs revolve around habitat concerns for sagebrush-associated wildlife species, the long-term impacts of fuels and fire management decisions on vegetation composition, structure, and reburn potential, and the human dimensions of fire management policies in fire-prone ecosystems. Beyond her traditional academic interests, Lisa is committed to promoting diversity of background and perspective in rangeland and fire management, and is interested in using this fellowship opportunity to explore ways to incorporate voices that are not fully appreciated into these fields. She holds a B.S in Biology and a M.S in Wildlife Science from Oregon State University, and a Ph.D. in Natural Resources and Environmental Management from the University of Hawaii. When Lisa is not modeling fire behavior or measuring wildlife habitat in the field, she is usually trying desperately to keep up with her two little boys or training for her next trail ultramarathon. She lives in Corvallis, Oregon with husband Cameron and sons Miles and Leo. Tim FullmanPh.D., Senior Ecologist, The Wilderness SocietyTim is a wildlife ecologist with a broad interest in spatial analyses. Most of his research focuses on movement and distribution of large herbivores in response to environmental factors and human impacts. Tim is a Senior Ecologist with The Wilderness Society, based in Anchorage, Alaska. His current research investigates caribou responses to energy development and other human activity in Arctic Alaska. 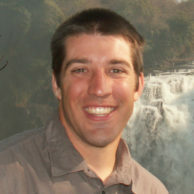 Tim’s previous research centered around exploring the factors that influence elephant movement patterns and impacts on vegetation and large herbivores in southern Africa, but also included diverse topics like modeling distributions of invasive plants in the Florida Everglades and comparing habitat effects on detection of wildlife under different monitoring methods in California. In all his studies, he strives to develop scientific information that can be applied to positively influence decision making for conservation and management. He has a B.S. in Animal Biology from the University of California, Davis, a M.S. 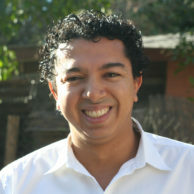 in Interdisciplinary Ecology from the University of Florida, and a Ph.D. in Geography from the University of Florida. When he’s not working, Tim enjoys hiking, bicycling and camping, as well as visiting zoos with his wife and two children. Miranda GrayScientist, MSc, Conservation Science PartnersMiranda’s background in mathematics, statistics, and spatial analysis has led to her interest in ecological modeling — in particular, modeling landscape connectivity for ecological processes. She is also interested in data science and visualization and applying these to conservation-related problems. She is currently a scientist with Conservation Science Partners in Truckee, California, where she has pioneered new work in the realm of fire ecology. Miranda did her undergrad at Macalester College, returned to her home state to work for the New Mexico Wilderness Alliance for three years, and then received an M.Sc. in Environmental Science and Policy at Northern Arizona University. When she isn’t doing science that really interests her, Miranda is riding a mountain bike, running a trail, brewing beer, or reading a book. As Miranda moves forward with her career in conservation, her goal is to build a broader constellation of relationships and develop conservation solutions through collaborative processes, so that science is applied more readily and effectively in decision- making. Trevor HaynesPost Doc, Wildlife Conservation SocietyTrevor is an ecologist interested in natural animal populations, and he has always been fascinated by the expansive wild spaces of the Arctic. He began his research career in more temperate regions, examining the habitat use of the Pacific sand lance, a key marine forage fish in the Pacific Northwest, for his master’s degree. Trevor’s focus shifted to Arctic species for his doctorate degree with the University of Alaska, where he investigated the distributions of Arctic fishes and fundamental aspects of Yellow-billed loon nesting ecology. During this research, he became intensely interested in the ecological processes that influence the distributions, movements and behavior of Arctic animals. Through his current position as a fisheries ecologist with the Wildlife Conservation Society, Trevor continues to pursue his passion for high latitude research in his study of Arctic lagoon ecology. He is using his background in fisheries biology and distribution modeling to improve the understanding of Arctic lagoon systems, including filling key knowledge gaps in our understanding of Arctic fisheries. By filling these gaps, Trevor’s research results will aid in the management of subsistence fisheries and help preserve food security for Alaska Native communities. Monica Iglecia is the Assistant Director of Shorebird Habitat Management for Manomet’s Shorebird Recovery Program. Since joining Manomet in 2014, Monica has worked to benefit shorebirds by reducing threats and increasing habitat availability in the Western Hemisphere. Populations of many shorebird species have declined dramatically in recent decades and continue to face a number of challenges. To help protect shorebird species, Monica develops and assists a network of partners to improve habitat and foster a culture of shorebird conservation. This is possible through training workshops, conservation initiatives, and on-the-ground habitat management. She works on shorebird conservation efforts with a variety of collaborators, including public agencies, private landowners, farmers, industry, academia, and other non-profits. Monica received an M.S. in Zoology from North Carolina State University and a B.A. in Environmental Studies from the University of California, Santa Cruz. 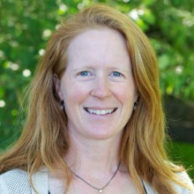 She is based in the Pacific Northwest and is an affiliate of the University of Washington School of Aquatic and Fishery Sciences. She is excited about the opportunity to work with and learn from the Wilburforce Fellows in Conservation Science. Kris InmanCommunity Partnerships Coordinator, Wildlife Conservation SocietyKris began working for the Wildlife Conservation Society (WCS) in 2000 as part of the Greater Yellowstone Wolverine Research team, and again in 2012 as WCS Community Partnerships Representative for southwestern Montana. In this role, she helps engage communities by providing scientific information to guide conservation solutions that consider both the social and ecological implications. Prior to working for WCS, Kris worked for a diverse group of organizations: the USFWS Wolf Recovery Team, the USFS Southern Spotted Owl Monitoring Team, the Maine and Oregon Departments of Fish and Game black bear studies, and the Hornocker Wildlife Institute. Kris has worked on a number of emotionally charged issues, including monitoring endangered species in communities where livelihoods were directly impacted by the management implications of species recovery plans. The focus of her master’s thesis involved human dimensions research, and began when states across the nation were challenging the privilege to hunt bears through ballot initiatives. Through her work, she saw how forging relationships can transform disengaged groups into ones that play an integral and positive role in conservation. She brings these lessons to her work to help build a more diverse and engaged constituency for conservation. 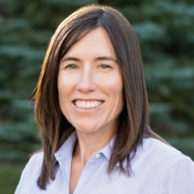 Kris moved to the Madison Valley of southwestern Montana in 2001 and serves as Vice-Chair of the Board of Trustees for the Ennis School District, and co-chairs the Ennis Schools Science Fair program. Megan is an economist with Headwaters Economics. She studies changing communities and economies in the western U.S., focusing on the economic impacts of public lands, recreation, ecosystem services, and demographic trends. 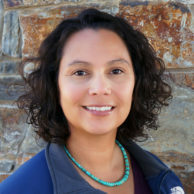 Her current work includes measuring the economic performance of places with public lands; reducing disparities in access to trails for low income and minority communities; and identifying successful economic development strategies in rural communities. As a Wilburforce Fellow, her goal is to more effectively communicate her research to policymakers, media, and stakeholders. Megan holds a Ph.D. and Masters in Economics from the University of Colorado, and has a B.A. in Biology from Williams College. Michael LucidRegional Wildlife Diversity Biologist, Idaho Department of Fish and GameMichael is a biologist for Idaho Fish and Game's Wildlife Diversity Program, where his main job is implementing Idaho's State Wildlife Action Plan. Michael's work revolves around a philosophy that the most effective conservation efforts involve lots of hands getting dirty while working to benefit the largest number of species possible. To that end, Michael leads the Multi-species Baseline Initiative, a collaborative of organizations that monitor wildlife and micro-climate across the Idaho Panhandle and adjoining mountain ranges. This monitoring program has led to on-the-ground conservation projects, including a developing project to enhance Species of Greatest Conservation Need resiliency to climate change on state and provincial wildlife management areas. Michael is lucky to live and work in an ecosystem he loves. A desire to be part of that ecosystem inspired Michael and his partner to erect a yurt in a precarious spot in the Idaho Selkirk Mountains, where they spend summers with their old dog and young daughter. Michael is slowly learning a difficult lesson that everything is harder with a one-year-old on his back, but still manages to find a little free time to ski uphill, un-successfully bow hunt elk, collect mushrooms, and plant wildflowers.